"I've read countless books since the mid-sixties and nothing has been equal to this book." 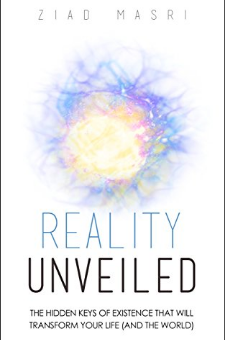 —Lex Allen, Author of the Eloah TrilogyIn Reality Unveiled, Ziad Masri takes you on a profound journey into the heart of existence, revealing a breathtaking, hidden reality that will transform your life forever. Far from offering simple platitudes and general principles, Reality Unveiled immerses you into this surprising world of ancient and modern knowledge—and presents you with all the incredible evidence to support it.After offering a uniquely fresh understanding of life and exploring the answers to your innermost questions, it gently goes on to show you how to tap into this inspiring wisdom in your practical, everyday life. This will give you the power to make a lasting transformation like never before, and to have the joy, peace, and true fulfillment you’ve always been searching for.